New York: When Americans think of summer, a few standbys come to mind: Baseball games, fireworks shows and hot dogs. Like many American families, the humble hot dog can trace its roots to New York’s Ellis Island, where an exhibit called “Hot Out of the Melting Pot: A History of the Hot Dog in America” is set to run through July at the National Museum of Immigration. Twelve million people took their first steps on US soil at that island’s immigration processing centre from 1892 through 1954, including those who went on to found hot dog makers Heebrew National, Nathan’s Famous, Sabrett, Vienna Beef, and Walter’s. “The focus is on the American hot dog, which would not exist if our forefathers had not come over here from Europe,” said Scott Ladany, Vienna Beef’s vice president of sales and grandson of the company’s Hungarian founder. 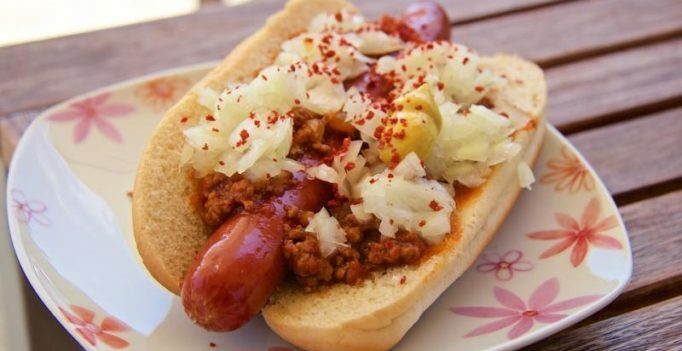 Samuel Ladany and business partner Emil Reichel came through Ellis Island from Hungary in 1893 before introducing the first Vienna Beef hot dog at that year’s Chicago World’s Fair. Some of the most enthusiastic — and fastest — hot dog eaters can be found each July 4 at Nathan’s Famous hot dog stand in New York’s Coney Island. The 101-year-old beachfront shop, started by Polish immigrant Nathan Handwerker four years after he landed at Ellis Island, now hosts an annual hot dog eating contest that draws competitors from around the world. For Gene-Christian Baca, whose great grandfather Walter founded Walter’s Hot Dogs when he came through Ellis Island from Italy in 1919, the exhibit celebrates an important family legacy.